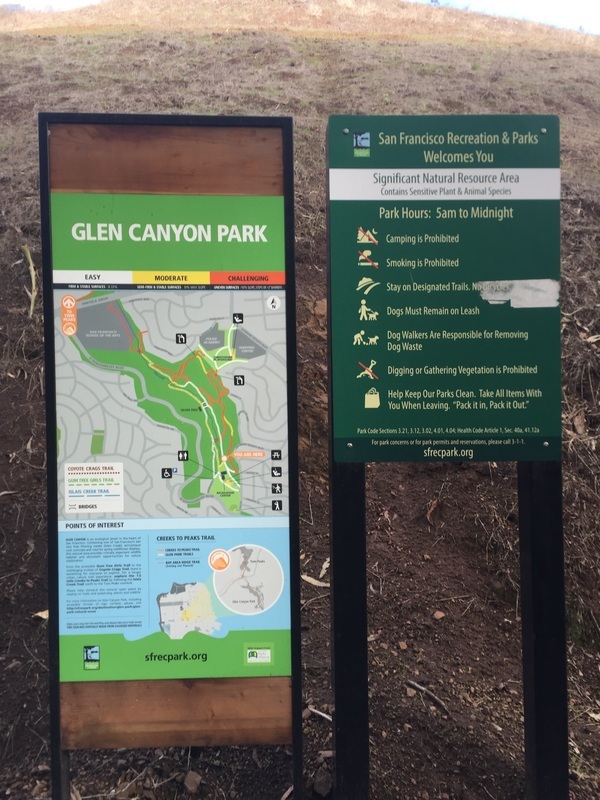 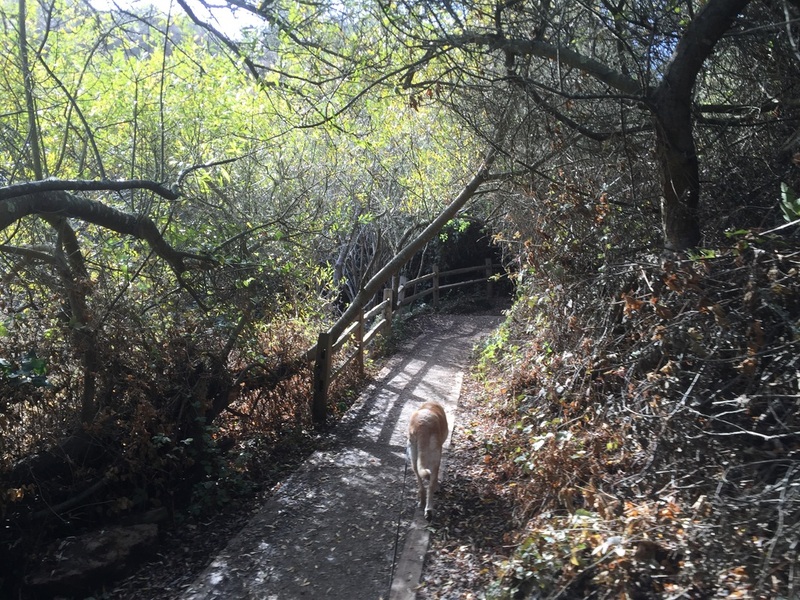 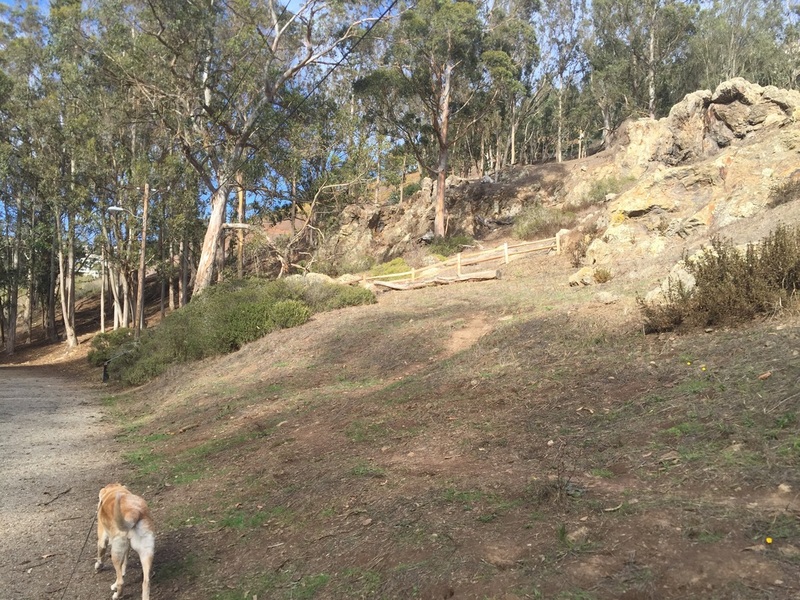 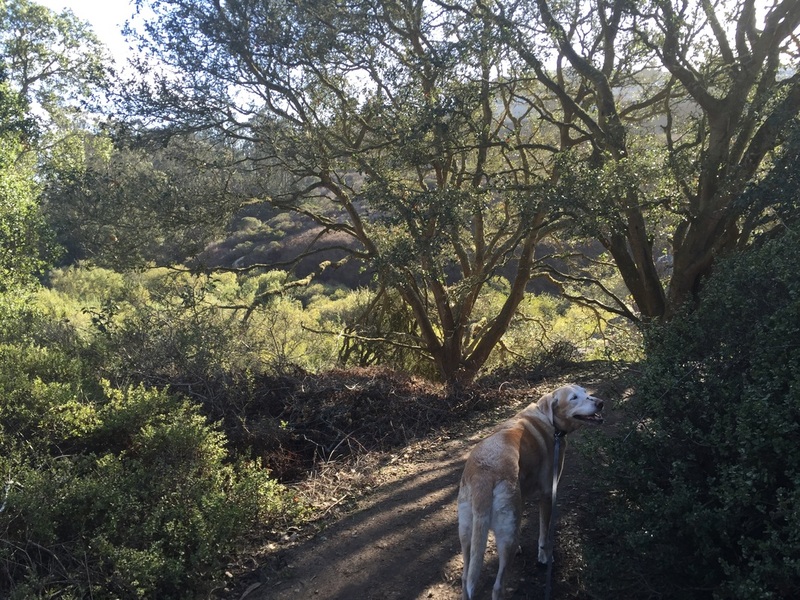 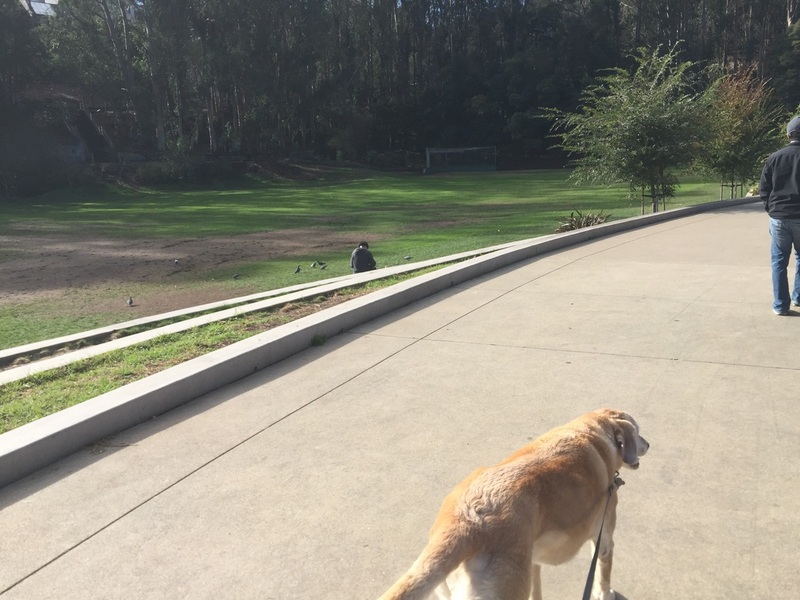 CAUTION: Coyotes have been spotted in Glen Canyon, so keep your dog on leash. 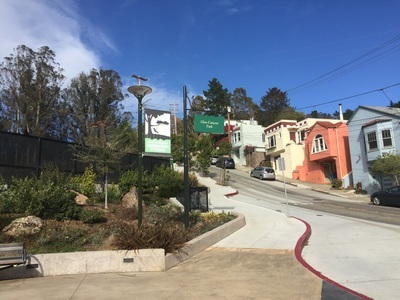 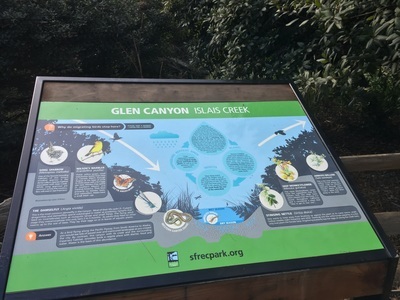 Description: You can enter the park on Elk St. (across from Sussex) via a set of stairs with a green sign in front of it, or you walk down Elk St. to the main entrance across from the baseball field. 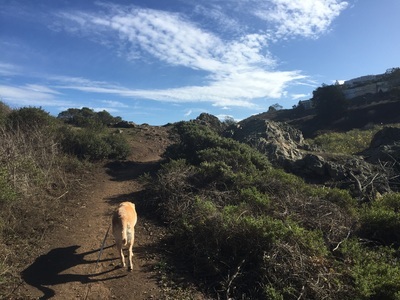 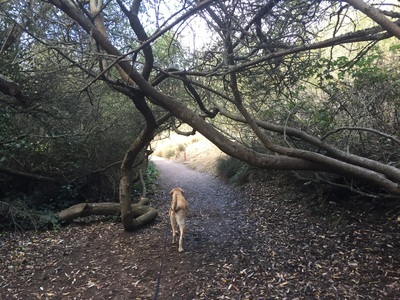 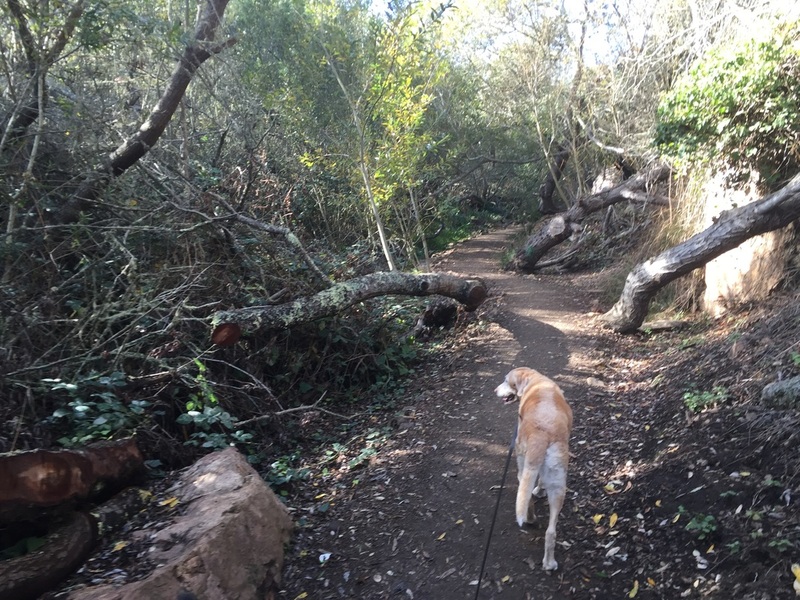 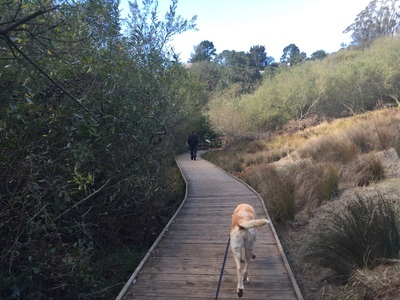 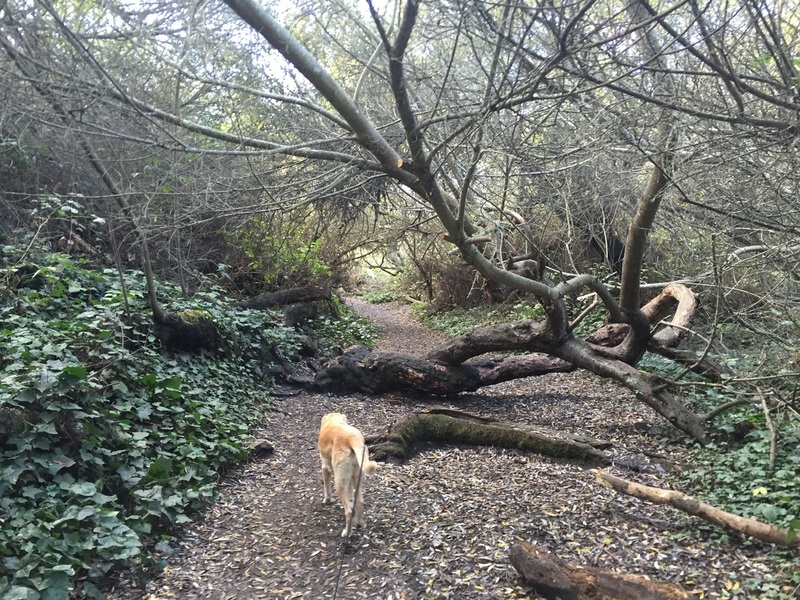 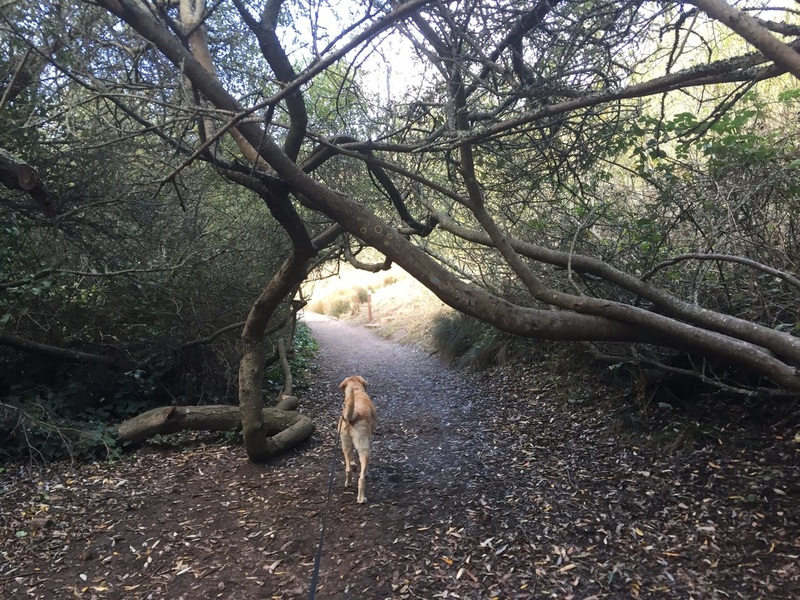 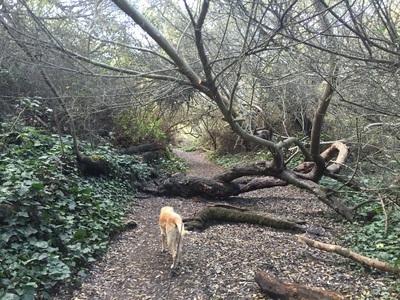 If you begin on the trail to your right, it takes you along Islais Creek, over a boardwalk, and through moss-covered trees. 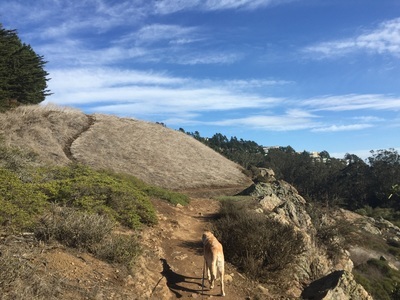 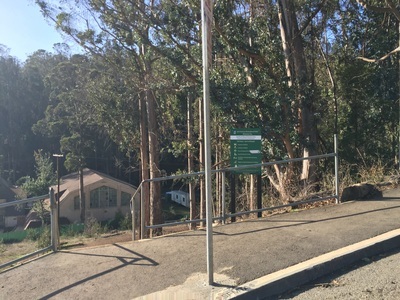 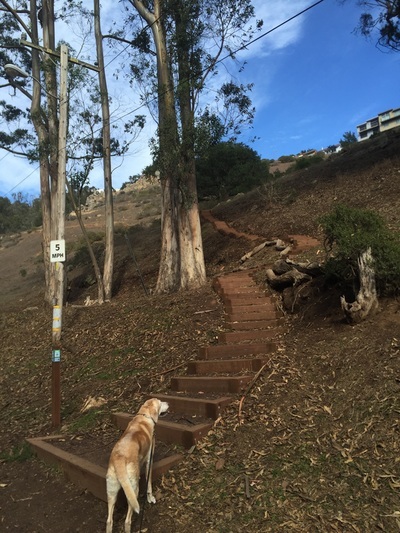 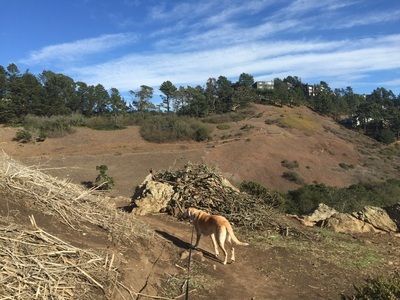 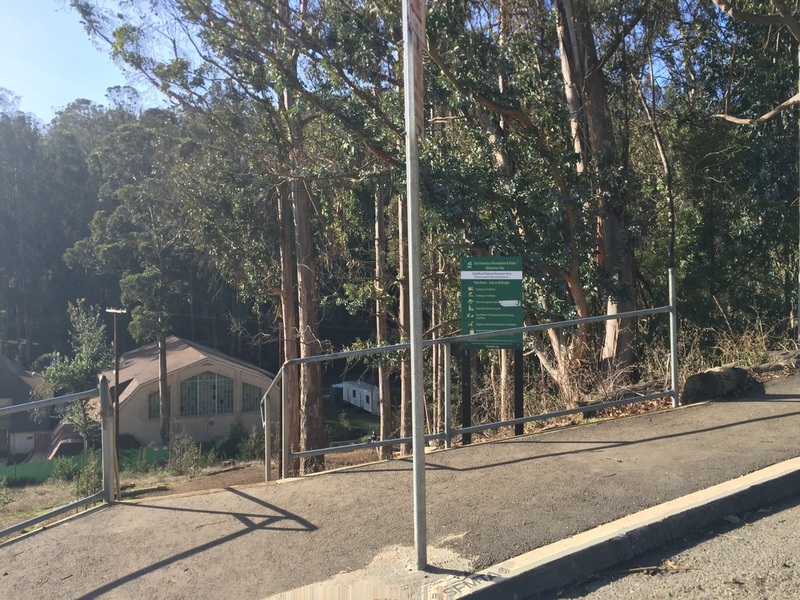 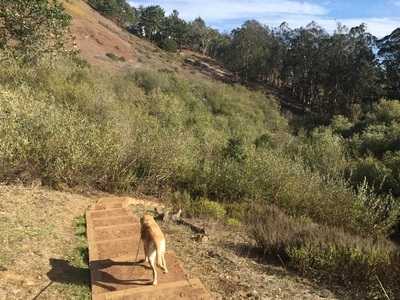 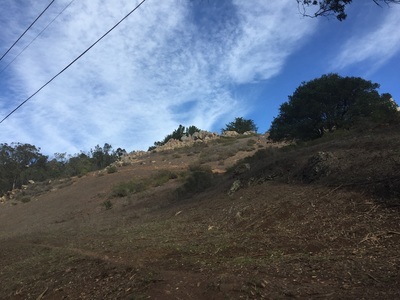 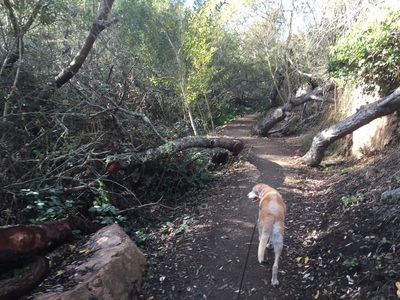 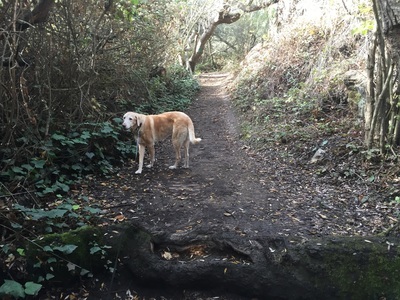 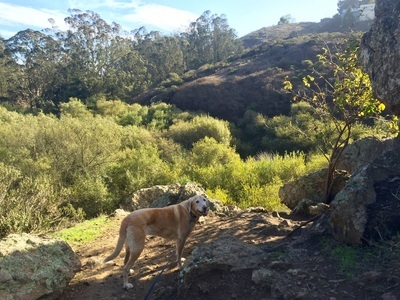 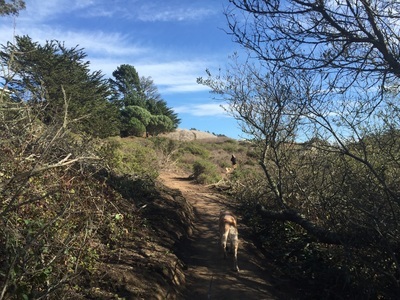 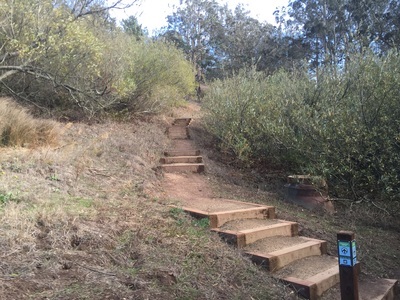 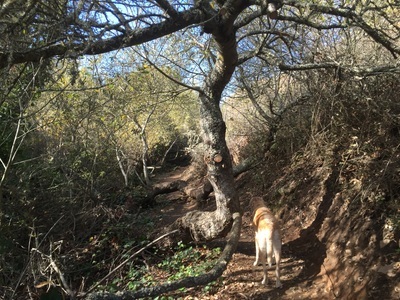 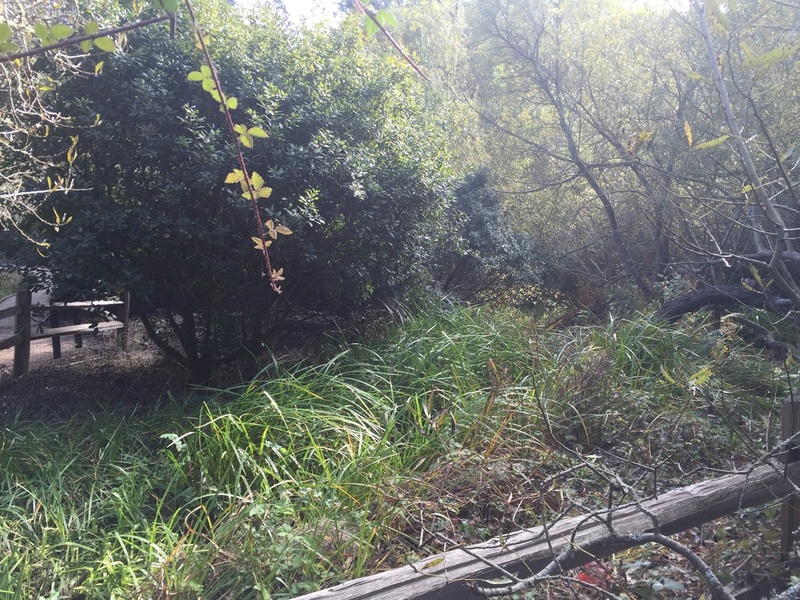 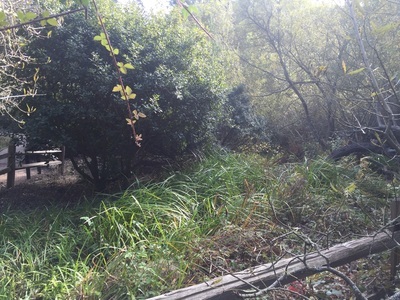 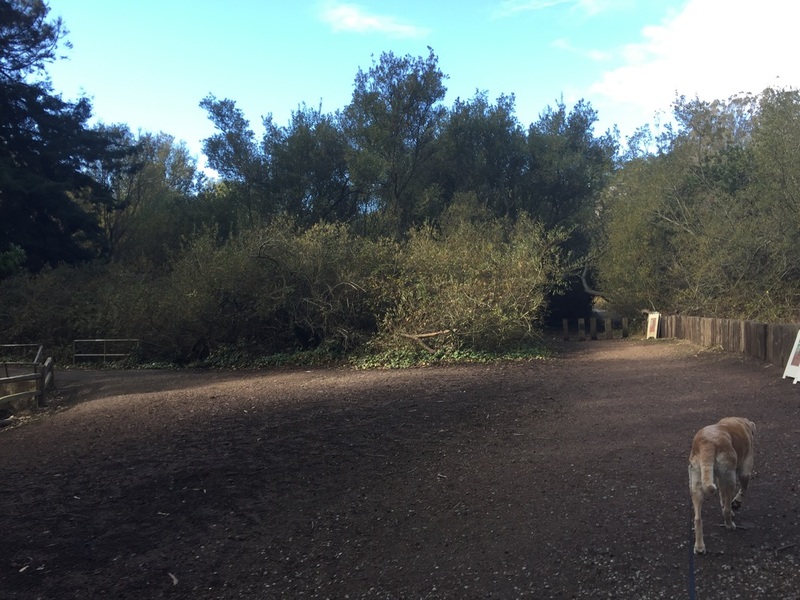 The trail appears to be washed out at this point, and you'll need to take the trail to your right, up along the eucalyptus-lined ridge. 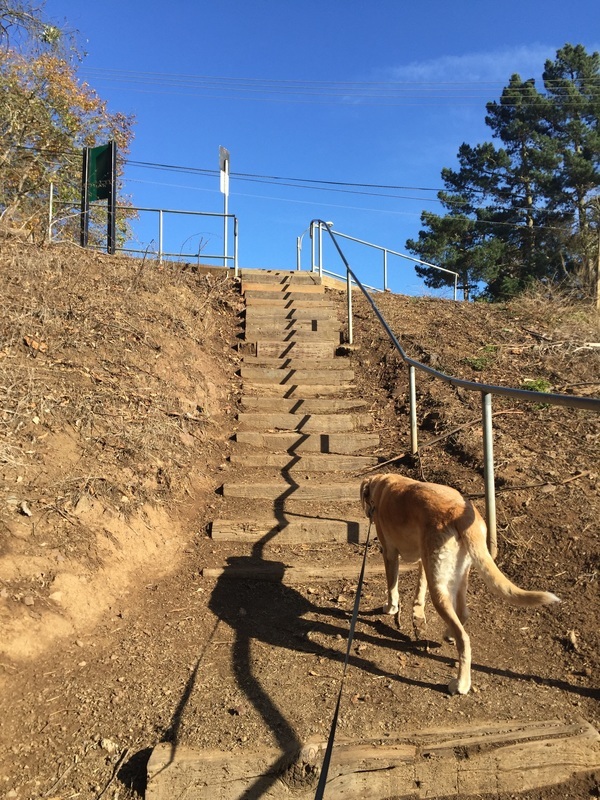 Multiple sets of staircases lead back to the valley floor, so you can make a loop as long or as short as you desire. 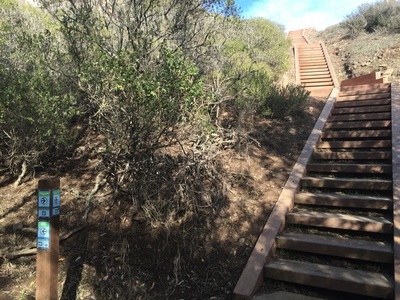 If you hike up to the Twin Peaks lookout, the steep 1.2 mile trail rewards you with views of the San Francisco Bay. 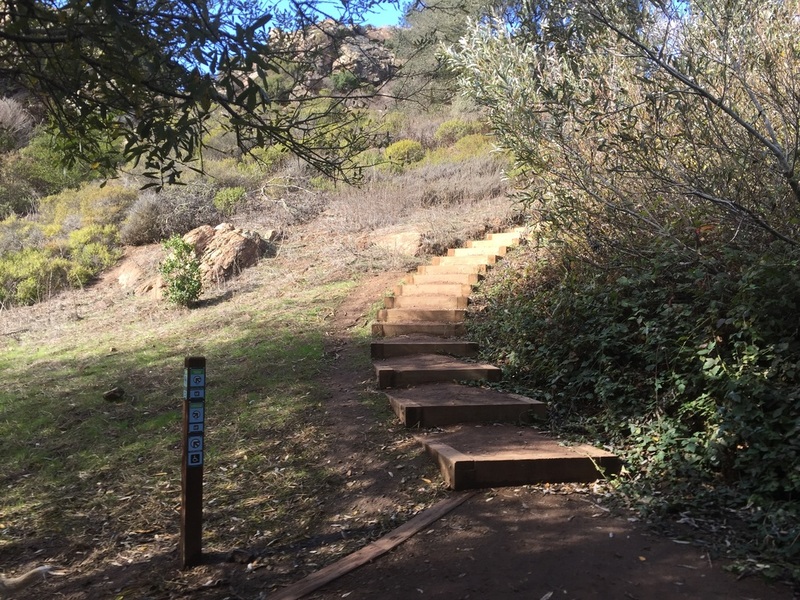 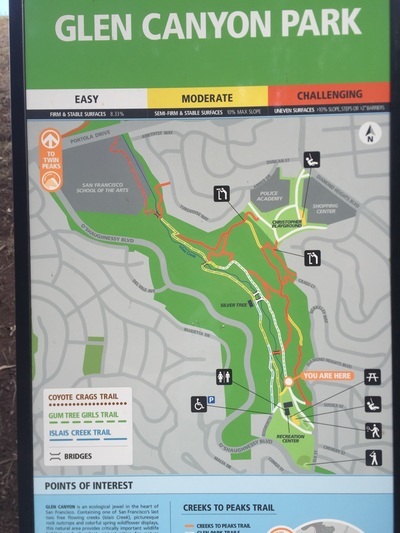 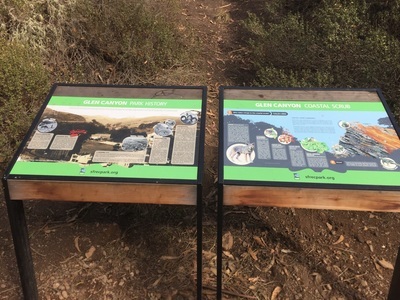 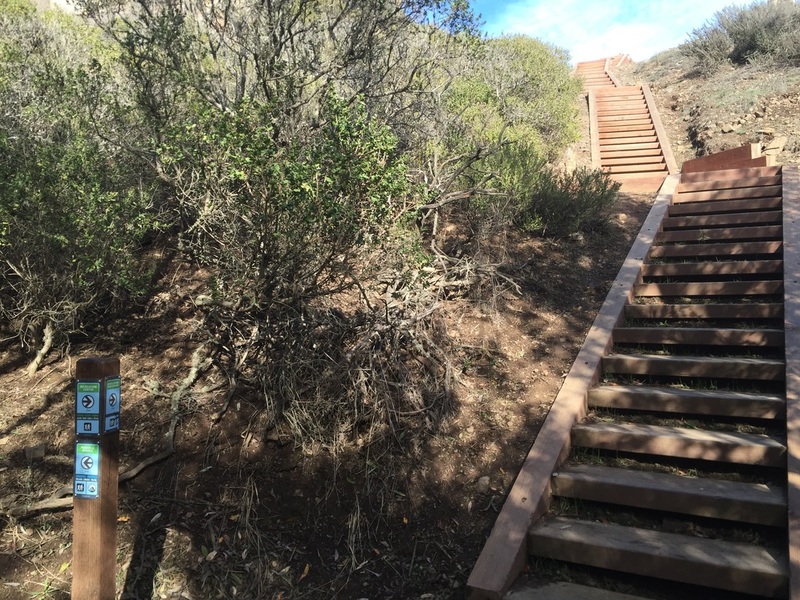 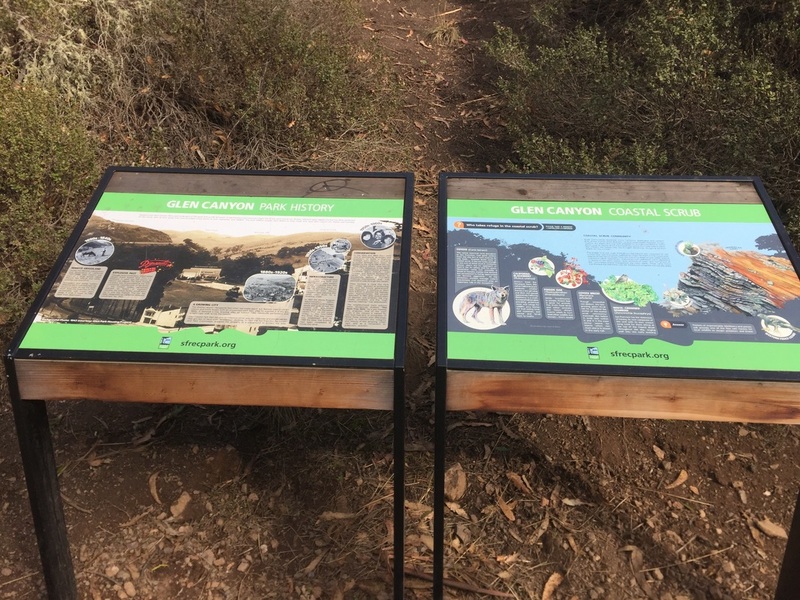 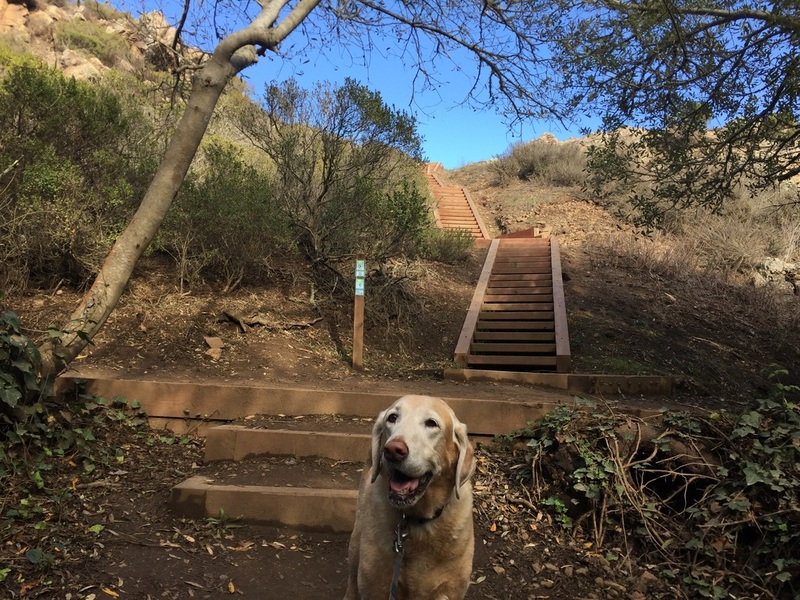 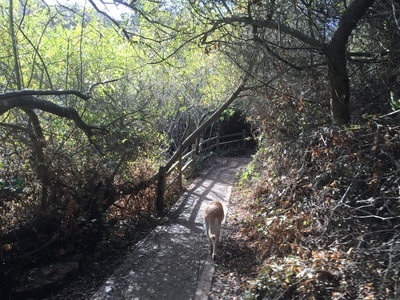 This park is mostly enclosed in the canyon, with many shady trails, and options for easy strolls or more strenuous hikes. 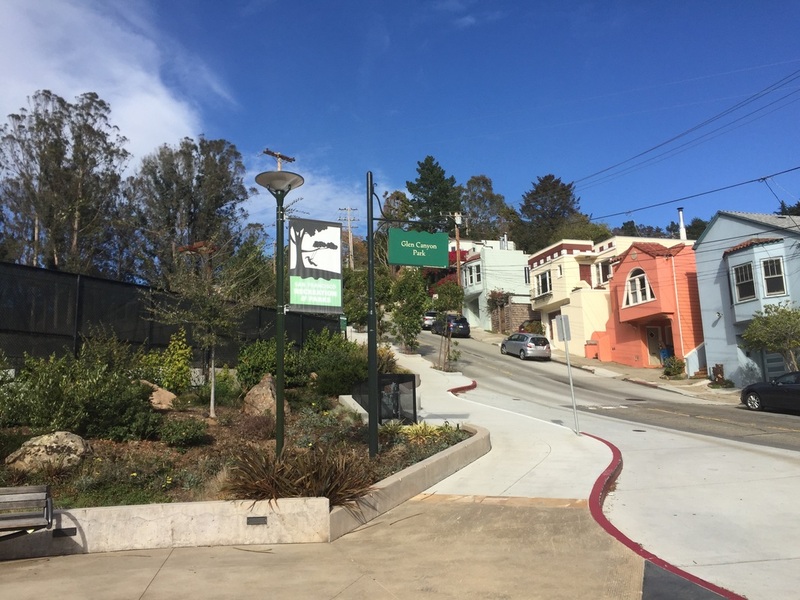 You definitely will not feel like you're in San Francisco when you're hiking in this park. 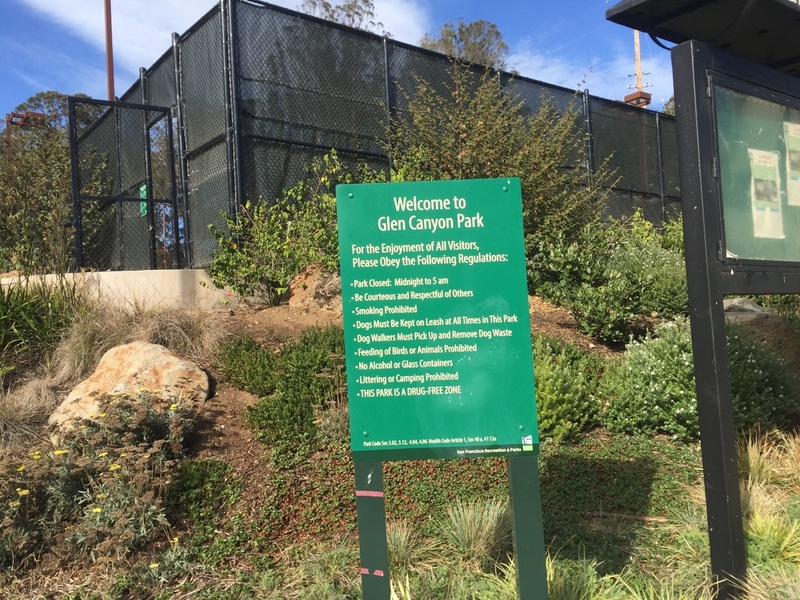 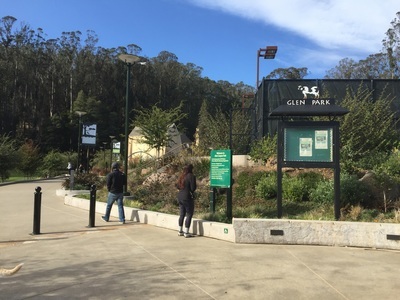 The park is currently undergoing restoration, so the facilities at the entrance are currently unavailable.